December has been a great month. Of course the greatest highlight of the month is the emphasis that is put on the celebration of the birth of our Saviour. I love many of the aspects of Christmas. The lights, finding the proper gifts, the meals, the friendships and family are all great highlights of December. Our travels were brief. I had the opportunity to preach only 11 times. I felt like I was on a month long vacation. The truth is, I really enjoyed being at home for most all of the month. I was able to catch up on a few necessary items and spend some real quality time with the family. Nancy and I also had the be in our home church, Shawnee Baptist Church, on Wednesday evenings and a couple of Sunday nights. Our Pastor, Bro. 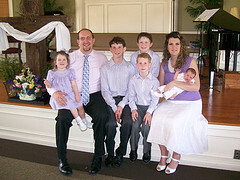 Dave Delaney, has continued to grow in his role as a young pastor. I am excited about the potential for the future of Bro. 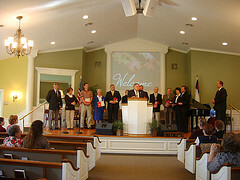 Dave and Shawnee Baptist Church. I recommend you stop in for a service if you are ever in the area. SUNDAY DECEMBER 2nd we were with the North Harrison Baptist Church in Ramsey, IN. Bro. Paul Powell has many health issues and has been trying to retire for a few years. I was blessed to spend some time with Bro. Powell and fellowship with the fine folks at North Harrison. Pray for Bro. Powell and the future of this good church. The Lord met with us in visible ways the times I had opportunity to preach at North Harrison. SUNDAY DECEMBER 9th we had the joy of spending the day at First Baptist Church of Kenmore in Akron, OH. The Pastor Dr. Rick Fox has been a faithful servant of God and wonderful pastor to the people of First Baptist. He has been a personal blessing and inspiration to me. I am thankful for men like Bro. Fox who have bedrock convictions and a strong soul winning convictions. It was a real honor to teach Sunday School and preach AM and PM services. The fellowship was sweet and God’s people were very responsive. SUNDAYS DECEMBER 16th, 23rd and 30th I had the opportunity to teach the adult Sunday School and preach at Lighthouse Baptist Church in Taylorsville, KY. The Lord met with us in a wonderful way. While I was pastor at Shawnee Baptist we planted the church as a mission. After about 5 years we thought the mission had gained the strength to become an Independent Baptist Church. We had sent only two men to pastor the church. Bro. Patrick Nix was the pastor who led them to become a church and they called him as their first Pastor. Last March the church and Pastor Nix celebrated their 10th Anniversary and I had the privilege of preaching the Anniversary Services. Bro. Patrick did a great job of leading the church to purchase land and build a a beautiful building. I was greatly impressed at the strong base that has been built and the functionality of the facilities. Bro. Nix believes that God led him to resign as pastor in order to be open to God’s leading in his life. December 9th was his last Sunday at the church. As a result I had the opportunity to fill the pulpit for three Sundays and give consultation concerning the search and calling of a new pastor. Pray for this young congregation as they go through a process they have never faced before. FAMILY TIME: God blessed us with the opportunity to spend some quality and quantity time with our family over the holidays. I think we make a terrible mistake if we fail to see our families as one of our most important ministries. We love our Kids (put up with their spouses …. Haha just kidding) and Grandkids. Church, eating, football, eating, bowling, eating, Christmas and eating took most of our time. We pray for our family many times daily. Our desire is that our Heavenly Father would use every one of them as He sees fit. FAREWELL 2012: We are excited about the new year and the open doors it affords. I praise the Lord for 2012 and 63 meetings that included everything from one day meetings to six day revivals. Then there were the additional number of times at Shawnee Baptist College where I had the privilege to teach a class or preach in chapel. I praise the Lord for the good number of people saved in personal soul winning and at the altar. I rejoice in the decisions made at full altars week after week by church members. I am hopeful because of the revival spirit I sensed in the heart of pastors and church members in meeting after meeting. Yes, God gave Nancy and I a good year with many good friends but now we must press on. The fields are white unto harvest. HELLO 2013: Please pray for Nancy and me. We want to have a continued and increased passion for souls. We want to be a blessing to pastors and churches. We are praying for revival. We want good health and safety as we travel. We want a full schedule in this critical time. At present we have 17 meetings scheduled and are tentatively holding four dates that preachers called us about and asked us to hold while working on their calendars. If you have a need or an interest for a meeting in this year feel free to call me at (502) 386-5521 or click on the link to my calendar and you can see my schedule up to this point. The Lord could well return this year. Let’s all work and pray for Heaven sent Revival. Let’s keep telling other about our Saviour. Let’s pray for one another. Someone told me the best defense is a good offense. If were not careful we will be so busy defending ourselves that we will forget to do the work God left us here to do. I want to challenge you to reach the middle class adults in your area. One of the greatest ways to do so is to start new classes. New units grow faster than established units. 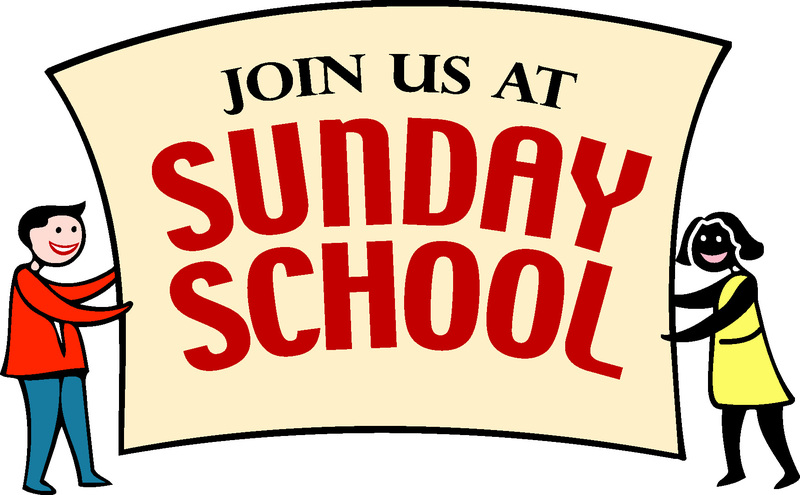 The Sunday School is the church organized. Properly organized and administered the Sunday School will help close the back door and keep new folks coming in the front door. In my years at Shawnee Baptist I tried to personally start a new class about every two to three years. It was hard to leave a class I had built. But, the joy of training new teachers and helping them succeed was worth it. I developed a couple of check lists over the years of things that helped me start a class and then build a class after it was started. I have read many other helps. The lists below are by no means exhaustive (maybe exhausting). If you have an existing class you may find some helpful ideas that will trigger some new growth methods for you. 4. Scan the church roll for prospects… Anyone on the church roll who is not enrolled in Sunday School is a potential prospect. 14. Make directional signs to your class… Goal: Be the easiest class to find without being obnoxious or appearing competitive. 7. Copy your roll book and prospect list as your Sunday School prayer list. Use your imagination … there are hundreds of ideas that will build your class without breaking the bank. May this be a great year of Spiritual and Numerical growth in our Sunday Schools. What a joy it was to have the opportunity to preach in (7) seven states (5,000+ road miles) during our last major road trip which included most of September and October. It sure was good to be in our home church and hear our pastor, Bro. Dave Delaney. He is one of a couple dozen young preachers we have had the opportunity to serve with that are committed to the fundamentals of the faith, the King James Bible, the local church and soul winning. I am truly excited about the future of our movement. God is sharpening some new instruments that will be used to accomplish great things for His glory if he delays His return. The future is as bright as the promises of God. Upon leaving the greater Atlanta area we headed to Wylie, Texas a city just outside of Dallas. God gave us a wonderful revival meeting with full altars nightly. I found Bro. Rasbeary to be a genuine Christian that has built a solid foundation for a growing soul winning church. Nancy and I fell in love with the Rasbeary family. They are doing a great job of rearing their children. Bro. Rasbeary has a balanced ministry. He planted the church 12 years ago. While I was there he arranged for me to speak at two area Bible colleges. One morning we spent time investigating the ministry of J. Frank Norris. It was enlightening and motivating. I am looking forward to being with them again September 16-18, 2013. Bro. Rasbeary is a prolific writer. I suggest you check his web site for information. When we left Wylie, Texas we were bound for a return trip to Orlando, Florida. What a tremendous time we had with Bro. Riggs and family. Another tremendous work going forward for Christ. Located in an inner city type of area I felt very much at home. God gave us good results at the invitation time. The fellowship and commitment of the church is amazing. Bro. Riggs has taken a very difficult situation by most peoples standards and turned it into a great opportunity. A mark of the churches love and confidence for their pastor was demonstrated in their presenting him with a beautiful new truck. Bro. Riggs is also principle of their Christian day school and leads many other ministries. When in the Orlando area check them out. From Orlando we headed North to Southaven, Mississippi to be with Pastor Cory Knepshield and the fine folks at Clearview Baptist Church. We have been truly blessed in the revivals we have conducted this year in that in every case the pastors family has been 1st class. Bro. Knepshield’s family is no exception. I love it when the pastors have strong family values. God has blessed the church with great facilities and Bro. Knepshield has been developing numerous ministries. There is a genuine burden for the lost and a desire to reach their community for Christ. As a small town that is part of the greater Memphis metro area the church under Bro. Knepshield’s capable leadership has an opportunity to get the Gospel to thousands. CONCLUSION – Do You Really Want Revival? I believe the only hope for America is Heaven sent revival. I believe we face Revival or Ruin. The problem seems to be that most of God’s people would like to see revival but are not willing to pay the personal price to have revival. Will you join me in praying for revival and then give your self anew to God. A revived Christian will be a Christian with a passion for souls. Our nation has become one of the largest most needy and extremely wicked nations on the planet. Bible revival is our only hope. We can’t sit idly by and pray for the rapture. We must “watch and pray”… “run with patience” but run… “work for the night is coming”… Come on fellow Christians. Let’s believe God for the boldness to raise up a nation of Believers that are unashamed to be politically incorrect. Let’s reach out to the lost with the love and compassion of the Saviour. I’m not talking about sympathy. I’m talking about urgency. I’m talking about obedience. I’m talking about our children and grand children. DO YOU REALLY WANT REVIVAL? I am convinced that many people who do not witness for the Lord Jesus are paralyzed with fear. It is not that they don’t love the Lord. It is not that they don’t care about the lost. It is simply that they have allowed the devil to intimidate them. What most of us need is an infusion of boldness. Boldness that only the Lord can give us. I want to give you a few thoughts that have helped me to begin growing in boldness. If you have time to meditate on them and take action by faith, I believe God could help you too. GOD HAS TOLD US WE DON’T HAVE TO BE CONTROLLED BY FEAR… I’VE BEEN TOLD THAT THERE ARE 365 FEAR NOTS IN THE BIBLE. ONE FOR EVERY DAY OF THE YEAR. I trust that the seven points below will help you like they helped me when someone shared them with me. Develop some thoughts for each point. Preach it. Teach it. Practice it. What a blessing to be with Pastor Patrick Nix and the fine folks at Lighthouse Baptist Church in Taylorsville, Kentucky. This past Sunday was a real encouragement to Nancy and me as we taught, preached, ate, had fellowship, listened to the music at the church anniversary service. Excitement was in the air as members and guests made their way to Sunday School and the morning services. Bro. Patrick and Mrs. Joy Nix have been a tremendous team. They have sacrificed and worked through victory and disappointment. The have pressed on. During this time their family has grown with the addition of five precious children. I am inserting an outdated picture below. What a blessing to be involved with Shawnee Baptist in planting and help in the planting of several churches. I challenge you to get involved.